Maldivian Democratic Party (MDP) held colorful parade on Male’ streets to mark their 8th anniversary, 26th June 2013. 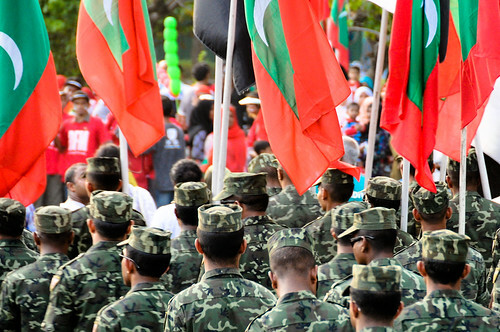 Maldives celebrates 47th Independence Day, a photo by m o d e on Flickr. 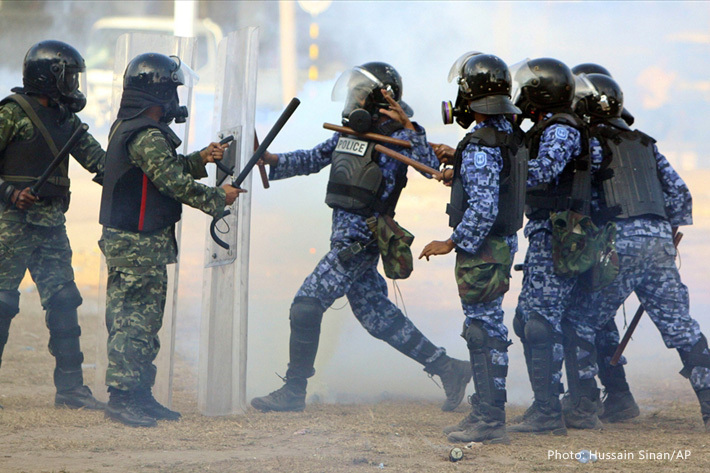 Note: This is the 1st Independence Day of Maldives after coup d’etat. 2008: Former political prisoner Mohamed Nasheed defeats President Maumoon Abdul Gayoom, Asia’s longest-serving ruler, in the Maldives’ first democratic presidential election.